The DEWALT DWP849X 7-in/9-in Variable Speed Polisher with Soft Start features a powerful, 12 Amp, all ball-bearing construction motor for long life and durability. Electronic control maintains the specified speed under load, delivering the desired finish results, while the conveniently located variable speed dial lets you set the maximum speed from 0-600/3500 RPM for different materials and applications. A variable-speed trigger allows you to control speed from zero to the dialled maximum setting easily. It also features a wool ingestion shield to increase your tool's life and reduce service costs for years of hassle-free use. 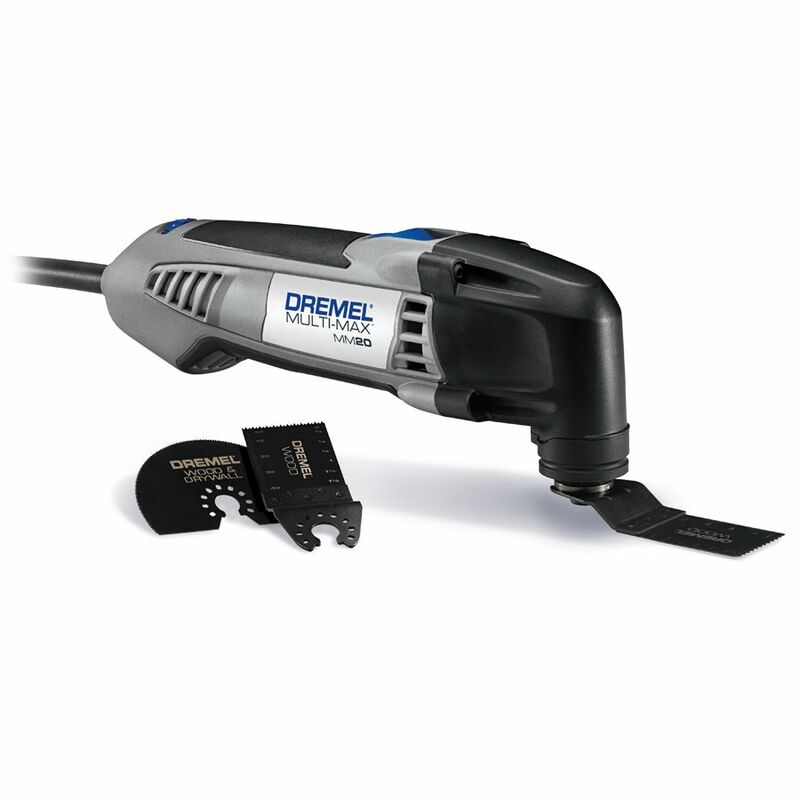 MM20 Multi Max The Dremel Multi-Max MM20 presents DIYers the professional oscillating tool performance theyve come to expect. With higher performance and productivity than the original Multi-Max 6300, the MM20 is capable of handling all the applications the 6300 can and more. The MM20 is a solid-performing and comfortably-operating oscillating tool from the brand you trust. MM20 Multi Max is rated 4.6 out of 5 by 57. Rated 5 out of 5 by Tony from Quality tool. Perfect for my door jamb cutting.... Quality tool. Perfect for my door jamb cutting. Rated 5 out of 5 by Freddie from Great product, GREAT PRICE! Great product, GREAT PRICE! Rated 5 out of 5 by M573 from Top quality. Bought a grout cutting blade and re-grouted the Travertine tile in the spa. Top quality. Bought a grout cutting blade and re-grouted the Travertine tile in the spa. Rated 5 out of 5 by Schmidty from This tool was used to make straight plunge stabbing cuts to the inside of my dash and airbox in m... This tool was used to make straight plunge stabbing cuts to the inside of my dash and airbox in my pickup. Awesome cuts, variable speed worked great. The blades that came with tool worked excellent. Great tool for a great price. Rated 5 out of 5 by Kyle from So far just done a few jobs, but has more... So far just done a few jobs, but has more power than I expected. Also the weight in the hand feels good. Rated 3 out of 5 by Skip from Product did the expected job but took longer than I... Product did the expected job but took longer than I expected. Probably should have gotten the more powerful model.